About us - Cor Rijken Verpakkingen - Packaging Especially for You! We see the customer as a guest. The company strategy is focused on building long-term relationships with our customers and establishing a shared goal. Our customers, the end users and the utilisation of high quality products are the founding principles of the innovative concepts we develop. Developing distinguishing designs for packaging is what we do best. These designs can then be produced in our production plant. There are different types of bags available, and we can realise them in any dimensions you wish. You can determine the materials yourself as well as the thickness of the foil, the kind of coating, a print or even a laminate combined with for example paper and/or aluminum. Our machines have been digitally revised which makes them operate very accurately and enables us to make adjustments during the production process. This enables us to guarantee a constant quality of our products. 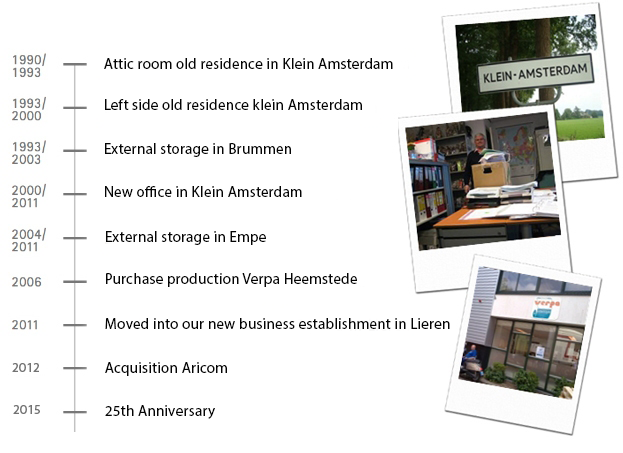 Cor Rijken started his company in a small attic in 1990, and in those days he mainly worked as a trading company. With a trailer behind his car he self delivered all sorts of packaging to customers all over the country as well as abroad. From the very beginning he wanted to build an honest and lasting relationship with the customers that was based on trust. Now that the attic has been replaced by a modern building and the trailer has become a professional distribution system, trust is still the foundation of our service. Since December 1, 2014 we are a PSO certified company. The Certificate of Performance Social Worker (PSO) shows that Cor Rijken Verpakkingen B.V. not only in her work supports people with a vulnerable job market, but that we also provide these people with our own business. The Performance Counselor Socialer Entrepreneurship (PSO) is TNO’s measuring instrument and quality mark that measure and visualize the level of social enterprise. TNO and PSO Netherlands have developed the PSO, in close cooperation with the market, according to the latest scientific insights from 2010 (through). The PSO has now grown into the national norm for social enterprise. The purpose of the PSO is to help more people with a distance to the labor market in a sustainable and qualitative way to work with (more) organizations. This makes PSO organizations by facilitating workplaces in their own organization. In addition, PSO-certified organizations encourage their suppliers and contractors to also take social action by consciously choosing to buy products or services from SW companies and / or other PSO-certified organizations. By making more organizations socialize, we grow together into an inclusive society. In addition, Cor Rijken carries out social affairs as ambassador of Apeldoorn Scoort. Apeldoorn Scoort is a platform in which entrepreneurs from Apeldoorn, in competition with the neighboring towns of Epe, Brummen and Voorst, use their expertise and network to find a workplace for people with a distance to the labor market. More people participate fully in the labor market. To this end, socially-motivated entrepreneurs from the four municipalities entered into a league. Cor Rijken Verpakkingen is an officially recognized leather company. In a learning company, MBO students get to know the practice and learn what is expected of them. A practitioner from our company ensures proper guidance during the internship of the student. As Correct Packaging, we consider it important to help students to contribute to their future. Interested in a internship at Cor Rijken Verpakkingen? Send an e-mail to info@cor-rijken.nl or contact us by telephone and inform us about the possibilities.